The MHA allegation has come to light even as Samantara, known for his Gandhian methods of agitation, has been awarded what is called Green Nobel – the Goldman Environmental Prize for 2017 for Asia, for his 12-year-long legal battle for Odisha's indigenous Dongria Kondh community’s forest and land rights in Niamgiri hills. 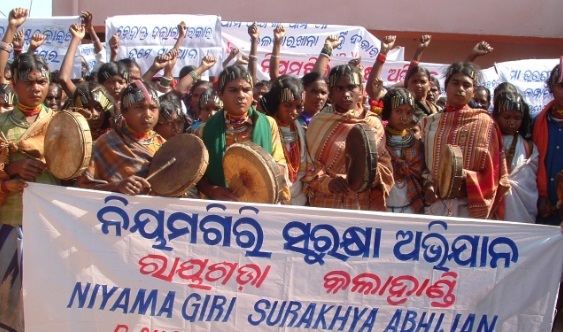 Samantara won the battle, forcing British MNC Vedanta to abandon its plans to mine the hills. Another organization MHA has been termed “Maoist-affiliate” is Visthapan Virodhi Jan Vikas Andolan (VVJVA) of Jharkhand, an umbrella of 30 organizations across the state protesting against displacement of villagers because of corporate, including multinational, investment in tribal regions. MHA’s 372-page 2016-17 Annual Report says, "In 2016, the issue of displacement of local communities remained the main plank of mobilization by the mass organisations”, accusing NSS for guiding agitations in Niyamgiri Hills area in the districts of Rayagada and Kalahandi, Odisha. MHA adds, “Maoist affiliates also undertook protest programmes and resorted to anti-Government propaganda over alleged atrocities by Security Forces." Bringing this to light, a draft statement floated by a senior civil rights activist, Dr Gopal Krishna, has sought the signature of those who believe that the MHA is making “an unfounded connection between a banned organisations and a peoples’ rights struggle”. According to Dr Krishna says, “As a consequence of the amendment faceless entities can now make anonymous donations of infinite amount” political parties.